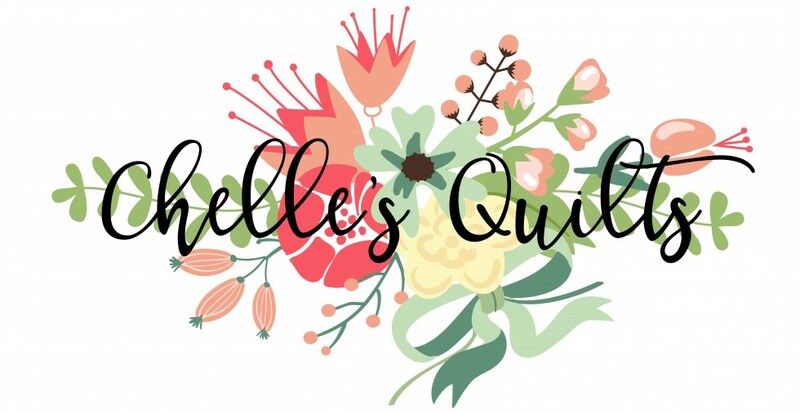 May is the first month of my quilting bee. The lovely Brandi of Peace of Me Quilts, is our Queen Bee for the first month. You can find her Facebook page here and her Etsy Shop here. She’s a very talented quilter! We have a lot in common, in that we’re both self taught first generation quilters. Here is the block I made for her. I hope she likes it! 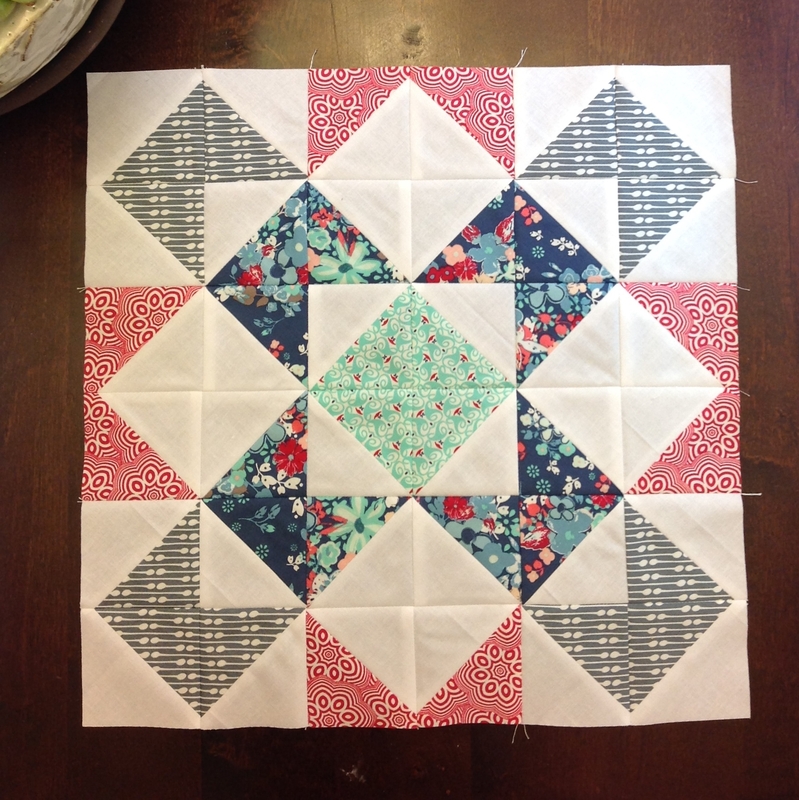 I can’t wait to see the rest of the blocks she gets and what they look like all sewn together in a finished quilt. I’ll be mailing it to her tomorrow, but first I want to get some extra goodies to add to her package. 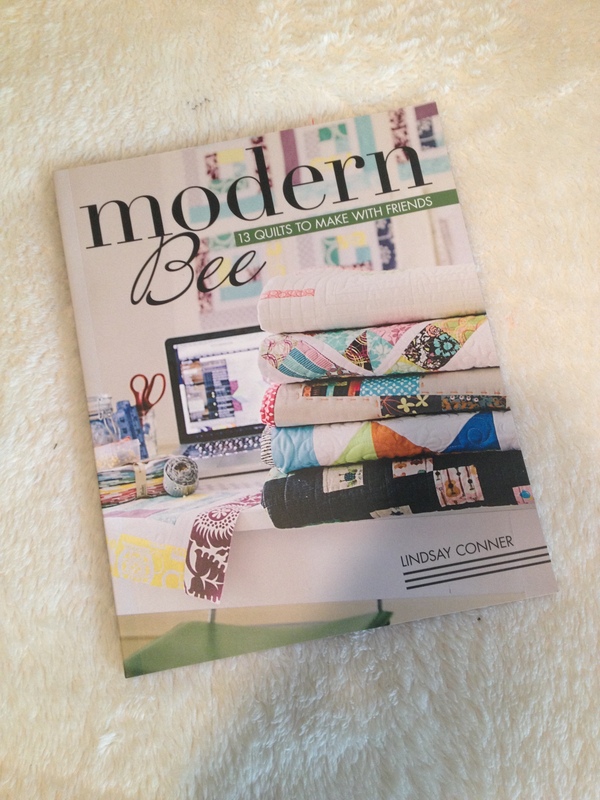 This was in my top 2 block choices in the book we’re using, “Modern Bee” by Lindsay Conner (you can find the book on Amazon if you’re interested). Since Brandi chose this block, I decided to go with my other choice since my month is next (more on that coming soon). I’d hate to make everyone make the same block two months in a row. Not that it matters but I can always make this one for myself another time. The patterns in the book are all pretty great and I’m sure I’ll be making more of them when this bee is over. I signed up for this bee for 2 main reasons. One, to make some quilting friends (check) and two, to stretch my own abilities and learn some things. I can say for certain I’m learning. Wanna know what I’ve learned about myself? 1.Making a quilt block for another quilter is pretty stressful. It’s super fun and I love it, but I quickly realized that these 11 other ladies are going to notice a lot quicker than the average Joe when points aren’t sharp or seams aren’t lining up. I don’t for one minute believe that any one of them would complain about imperfection, but I found myself wanting to be extra careful. 2. Because I wanted to be extra careful, my seam ripper and I are now good friends. I much prefer that she sit on the side lines and watch, but she came in handy more times than I would like. My machine and I, on the other hand, are not on speaking terms right now. We had a fight. There was name calling and even some cursing….it was ugly! We’ve been in enough of these tiffs that I know it’ll blow over soon and we’ll be friends again. But for the rest of today I don’t like her. In fact, she may get a timeout in the closet. 3. I’m not a fan of pressing seams open. I learned 7 years ago to press to one side. For the better part of 7 years I’ve done that. I thought I was a recent convert when following this tutorial by Freckled Whimsy. She presses her seams open, so I followed her advice and was amazed how how nice and flat my half square triangles were laying. It wasn’t a problem matching seams for that particular project (or maybe I just didn’t care because it was for me). So when these instructions said to press open, I did. Brandi even told us to use whatever method we like. I was all “pshhh, I got this!” but apparently I didn’t. Nothing seemed to be matching up right and pins were making it worse. After using that seam ripper a bazillion times, I finally figured out a trick that worked for this project but I’ll never do that again! Unless my bee member specifically requests open seams, I’m back to pressing to one side. It’s just easier for me to make things match up that way. 4. It’s pretty fun to make fun of myself. So kids, I think the lesson of the day is…..don’t get cocky! Now I better go apologize to my sewing machine. I don’t want to have to sleep with one eye open tonight. Love that block, great fabric choices!